Since we were in Malaysia and it’s only an hour flight, we thought Why not? Let’s go to Singapore! Singapore is definitely the most modern and cleanest city I’ve been to, you could literally eat off the streets. Littering carries a SG$1000 fine (Ouch!) which could also explain why it’s been named the most expensive city in Southeast Asia! But don’t let that discourage you from visiting this beautiful country. I hold my purse strings TIGHT and I had a great experience here without blowing the bank and soaking garri (ground cassava) when I got home. We stayed at M Hotel in the financial district, near Chinatown. The coolest thing about this hotel is all the rooms have complimentary smart phones to take out when you’re exploring! Free data, calls, everything! How amazing is that?! More hotels should adopt this idea. It cost £187 for a deluxe room for 2 nights inc. breakfast. We stumbled on the beautiful Buddha Tooth Relic Temple on our way to get food. This is why I love to walk around in any city I go, you never know what’s around the corner! The temple was super beautiful with rich mahogany tones and traditional Chinese architecture. Apparently, there’s a 27-ft tall Buddha statue made of 320kg of gold! (My account could use that right about now) and a large array of Buddhist art and history. Unfortunately, we couldn’t see it because the temple was closing. Best part? It’s completely free to enter! We wanted an authentic Singapore dining experience so we went to Maxwell Food Centre, packed full of gorgeous smelling food stalls (even some Michelin recommended ones). There are a few of these Hawker centres dotted around Singapore as you won’t see street side food stalls partly because historically, the government were concerned about hygiene so they relocated the street hawkers to the Hawker centres. Cleanliness is serious business in Singapore! Chicken rice is Singapore’s national dish (not Singapore fried rice as my brother thought! What is that anyway?) and you can find it in almost every food court or restaurant. It’s basically chicken pieces with fragrant rice and a spicy chilli and ginger paste, simple but so good! After mooching round China Town, we caught the bus to Clarke Quay. We didn’t know the buses didn’t take notes; thank God the driver was nice enough to let us on for free! Clarke Quay is at the heart of Singapore’s entertainment and night life scene with lots of colourful restaurants, bars and clubs. It was definitely popping off when we were walking around with bars playing music out loud and clubs getting going. Even if you’re not in the mood to turn up, you could go for dinner, have a stroll by the Singapore River and enjoy the city views. But if you do want to let your hair down a little in Singapore, this is the place to do it! Gardens by the Bay, one of the iconic attractions in Singapore, were easily the most surreal places I’ve ever been! It was so stunning throughout I had to give it two spots on this list! It’s such a beautiful blending of nature and technology, definitely not to be missed in Singapore. Let’s start with the ahmaazzingg Supertree Grove. As you walk through the leafy archway entrance, you immediately see the Supertrees ranging from 25 to 50m (80-160ft!) tall! Each tree is essentially a vertical garden sustaining a range of plants, lacing around the purple supporting structure. Look how tiny I am! I’m a sustainability geek, so imagine how happy I was to learn that the trees contribute energy to run the park, they collect rain water and channel it where water is needed. How awesome is that! Alright, enough of my geeky ramblings. A scenic stroll away from the trees, there are two climate controlled bio-domes which house the Flower dome and Cloud Forest. It cost SG$28 to enter both. The Flower Dome houses a ridiculously wide range of plants from around the world. There were even flower recreations of paintings like Portrait with Straw hat by Van Gogh and other artists, how ingenious! Some people say it’s not worth visiting it, I think otherwise and both domes are included in the price so why not! Now for the pièce de résistance (just used up all the French I know! ), Cloud Forest! We were first greeted by a blast of cool air and then the world’s tallest indoor waterfall at 35m (15ft) high; I literally stood there in awe! Couldn’t believe the beauty! If you have ever wondered what a concrete jungle would look like, then welcome to Cloud Forest! It is a man-made forest that mimics the cool, moist environments on top of tropical mountains. I’ve never seen man-made nature done as well as it is done in Singapore. Need a break from city sightseeing? Well look no further than Singapore’s beach resort, Sentosa! A little background, Sentosa, which means ‘peace and tranquility’ in Malay, is a man-made island of fun just off the south of Singapore. Though it doesn’t have world class beaches like Thailand, it is a lot of fun, super lively and a chance to lounge on the shore and dip your toes in the ocean. It’s not difficult to get here either, you just need to get the MRT to Harbourfront station then follow the signs to VivoCityand go up to the Sentosa Express Monorail Station. It cost’s SG$4 for a Sentosa pass round trip. Fun fact, Sentosa used to be called ‘Pulau Blakang Mati’ which means ‘Island of Death from Behind’ in Malay! (Wth!). After our less than amazing time in KL’s Little India, we were very skeptical to the point where we didn’t even bother going to Singapore’s Little India. After we got back to the UK, my friend and I started seeing bomb pictures and we immediately regretted not going. Look how pretty! 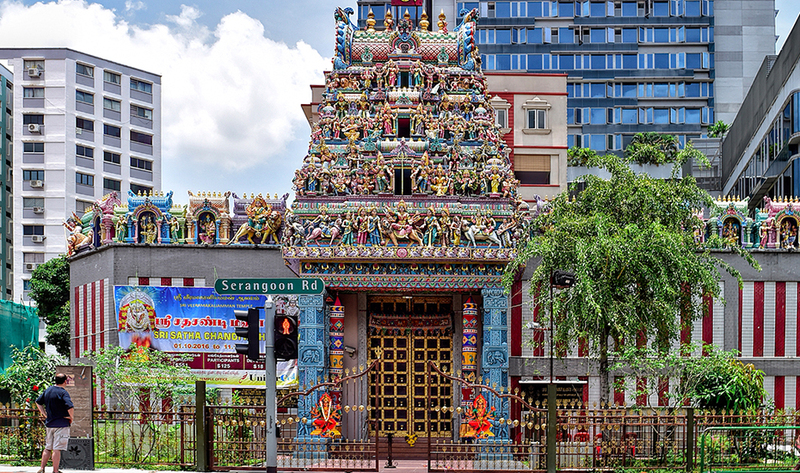 Little India (one of Singapore’s most iconic neighbourhoods) is a cultural enclave bursting with colour, full of authenticity and represents Singapore’s local Indian culture. People who are from or have visited India have said Little India made them feel like they were in India, it’s that good! Make sure you visit one of the oldest temples in Singapore, Sri Veeramakaliamman Temple (And I though Nigerian names were long! ), built by Indian emigrants. You can also shop for fragrant spices and souvenirs to take back with you. By this time I’m sure you’ll be famished (if you’re anything like me), why not get a taste of some of the best Indian food in Singapore at the Tekka Hawker centre. Now this one was definitely my fault, I did see it when I searched but I didn’t dig any deeper, which is weird because I really like going to museums. After I got back I saw Tosin’s picture, of @tosinfinityandbeyond, from the future world exhibition and I was kicking myself! The future world exhibition is a permanent exhibition where art and science meet in the most beautiful way through an experience that immerses you into constantly changing cutting-edge digital installation. So make sure you go visit when you’re in Singapore! It costs SG$12 for entry. Merlion Park has been described by some people as the “most disappointing sightseeing spot in the world” however, if you don’t go for any other reason, go to try and see if you can recreate this sick picture by Phil of @philwaukee! So if I haven’t made it clear enough yet (which I hope I have! ), GO TO SINGAPORE! 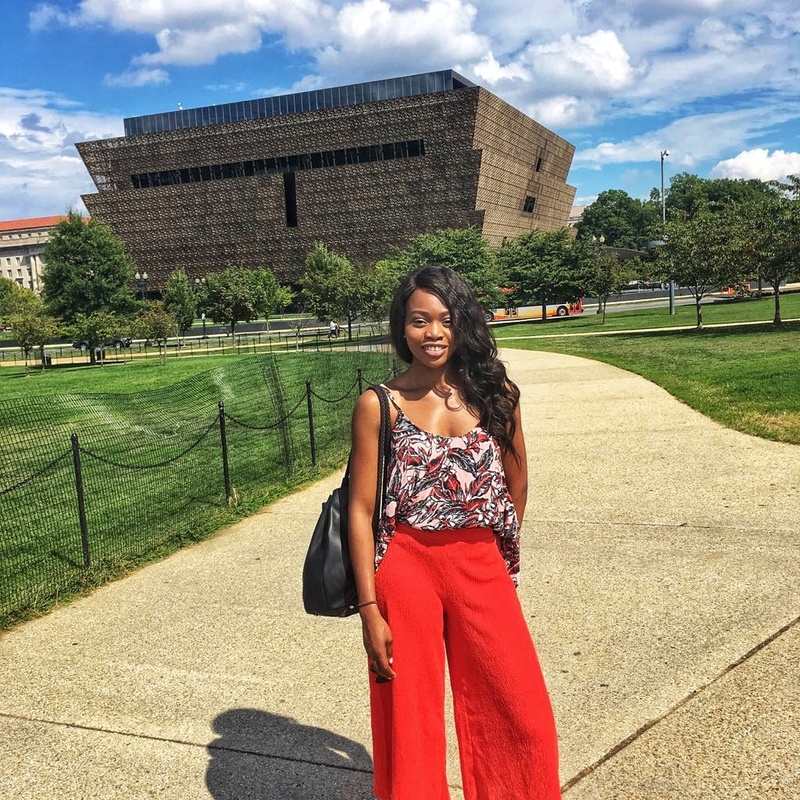 I promise it will be an amazing experience, especially if you make sure these 8 things are on your itinerary. Join my subscribers who get updates on new blog posts, travel deals, tips and more! Don’t miss out! I really enjoyed reading your blog! Very insightful and engaging.